Tesla, which is now your God, is considered by Wall Street to be worth an insane valuation that gives it a market cap on par with General Motors—you know, the automaker that has been around forever. Tesla’s founder Elon Musk doesn’t understand why. In an interview with The Guardian for a story on conditions inside Tesla’s Fremont factory, Musk cut loose a bit about the company’s incredible $50 billion valuation. Though he said it makes no sense to him, Musk said Tesla still doesn’t deserve to be treated like other carmakers. Hm. “I do believe this market cap is higher than we have any right to deserve,” he said, pointing out his company produces just 1% of GM’s total output. And in contrast to the claims of the 15 workers interviewed by The Guardian—which Tesla attempted to downplay last week in a preemptive blog post—Musk took issue with the depiction of a hard-boiled operation that’s working feverishly to prep for production of the Model 3 sedan in July. Whatever the case, the Model 3's viewed by many analysts as a make-or-break moment of sorts for the company. 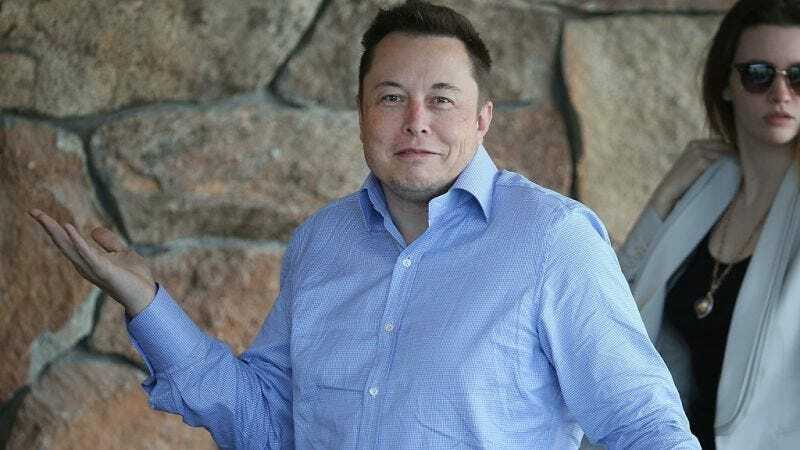 Perhaps, like his recent attempts to somewhat walk back his extremely high production target of 500,000 vehicles by next year, Musk sees the valuation as another possible tool that critics can weld and attack him with. July’s shaping up to be quite an interesting month.